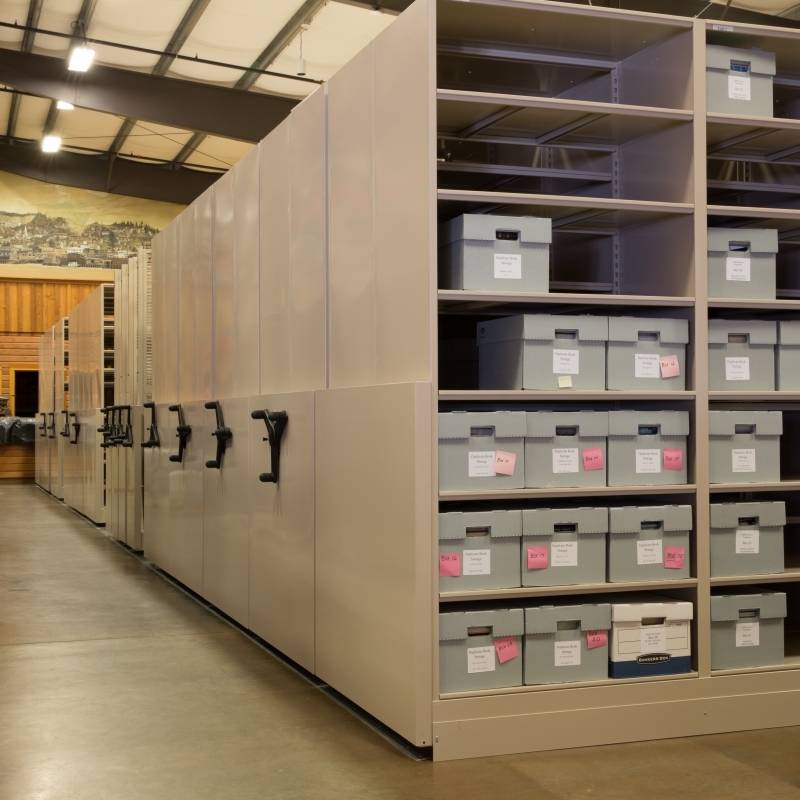 Spacesaver helps design a collections storage area with room to grow. Powerful forces combine to create a unique phenomenon at the Columbia Bar, where the Columbia River flows into the Pacific Ocean near Astoria, Oregon. 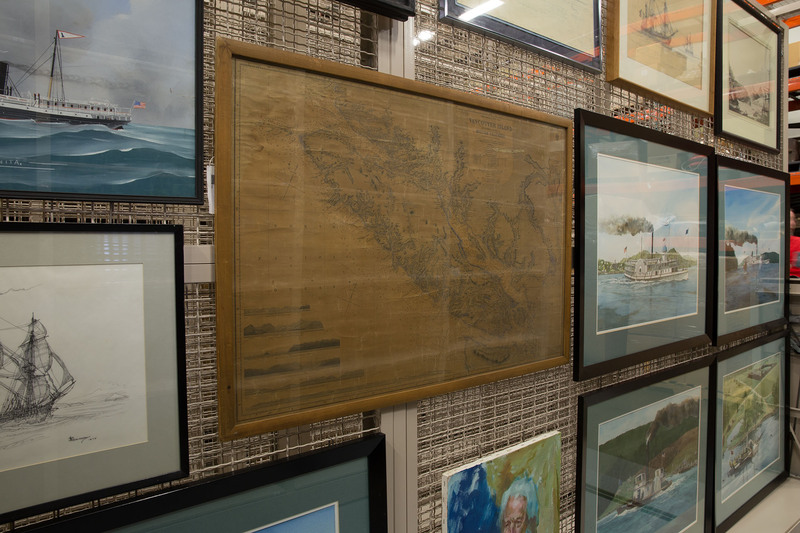 It’s one of the most treacherous sea passages in the world, and the Columbia River Maritime Museum, located on the banks of the Columbia River in Astoria, explains the physical and cultural dimensions of the area’s past and present. 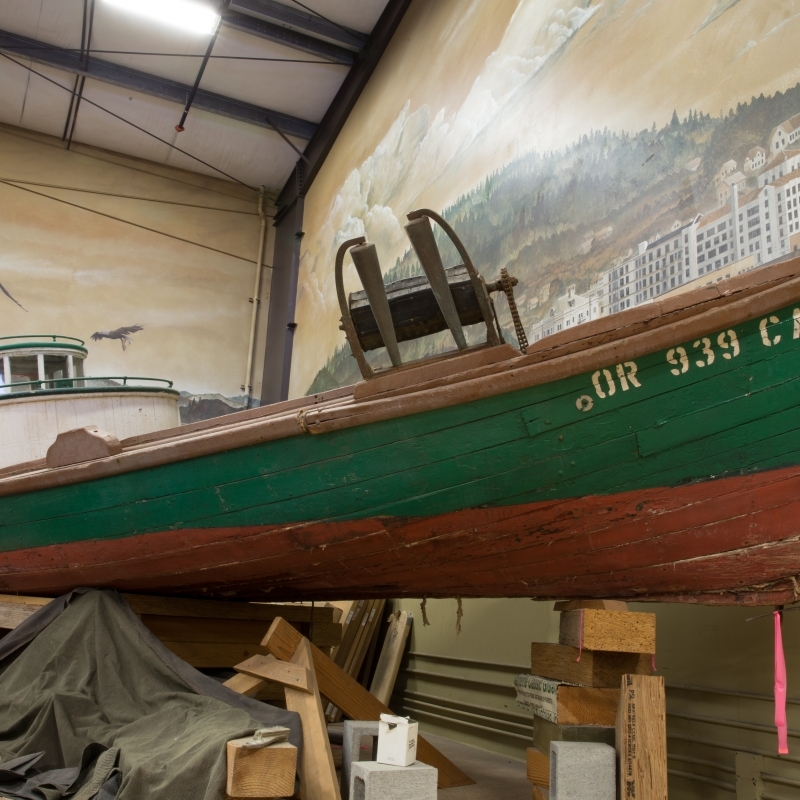 By preserving and displaying historic boats, documents, memorabilia, and other artifacts, the museum acts as a repository for knowledge about the entire Columbia River watershed, as well as the coastal waters of the Pacific Northwest and the communities that have been shaped by these environments. 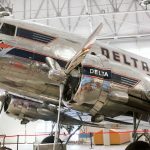 The museum’s collections storage situation has posed challenges for decades due to the broad scope of the collections, as well as the sizes and shapes of many of the objects. 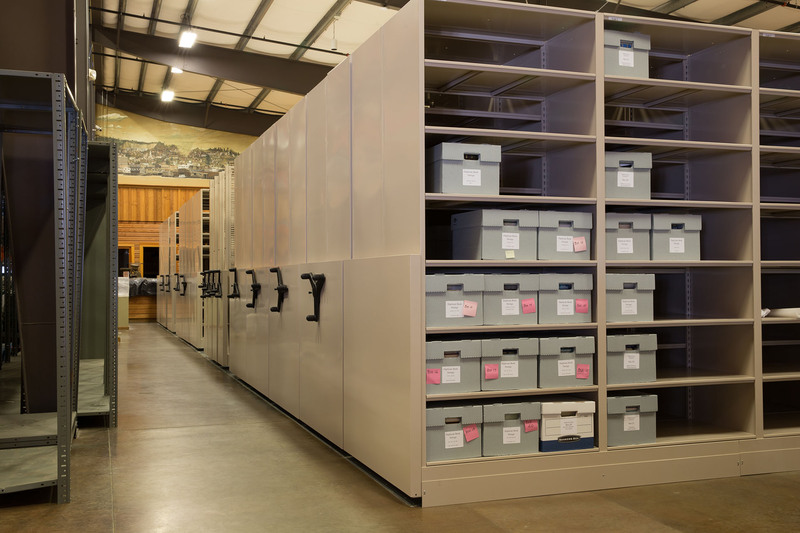 Spacesaver’s Portland-based distributor has helped solve those challenges repeatedly over the years as the collections have grown. The museum was founded in 1962, and twenty years later a large building was constructed to house the museum’s exhibits, staff offices, and collections areas. But by 1999, the museum collection storage areas were at capacity. One area that the museum staff wanted to improve early on was the library. The area is not open to the public, but staff still wanted to provide a place to study and safely store reference materials. 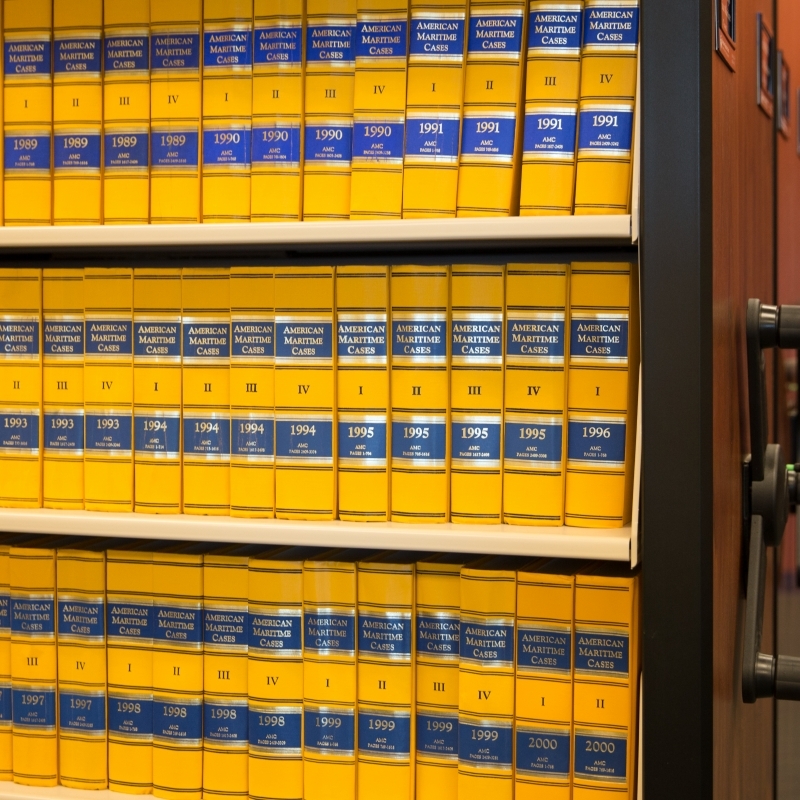 By placing these materials on shelving mounted on a Spacesaver high-density shelving system, museum staff were able to eliminate space that had been wasted in empty aisles. 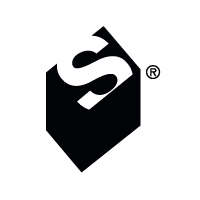 “We now have storage that should stand us in good stead for the next 50 years at least,” Smith said. Years later, in 2014, the museum purchased two warehouses across the street from the museum. One is used to store historic vessels that have been acquired for the museum’s collection, and the other, larger building will house a variety of smaller objects like ship models and hanging art. 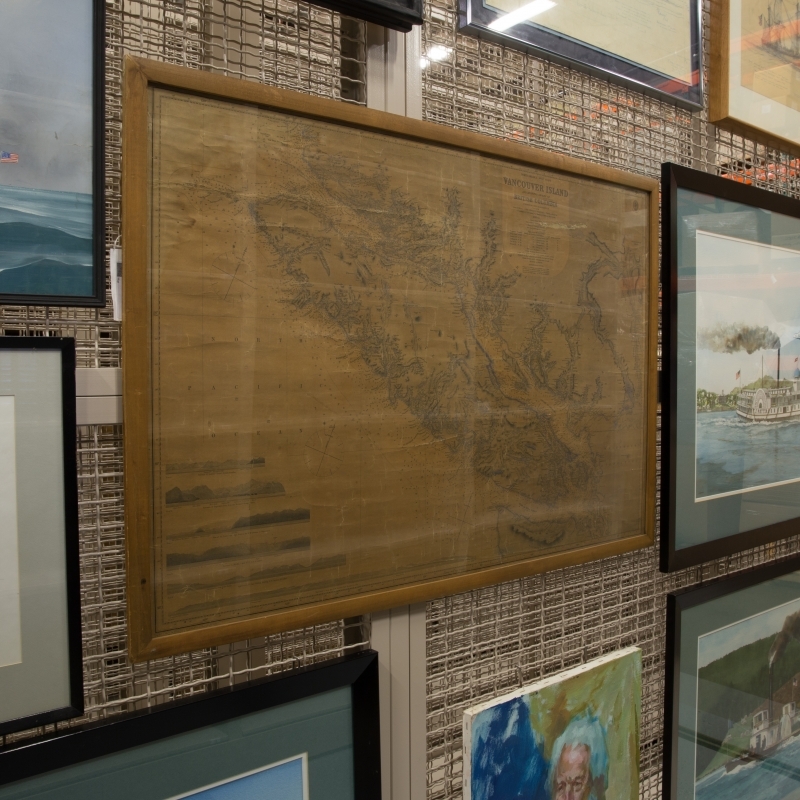 A large Spacesaver high-density system was designed to hold three-dimensional artifacts, while art racks keep paintings and other two-dimensional artworks organized and secure. They system was designed to accommodate future growth. “When we first embarked on this project, we approached it modestly because a lot of money and effort went into acquiring the property,” Smith said. The museum used the NJPA contract (now known as Sourcewell) to get competitive pricing on quality products from Spacesaver. 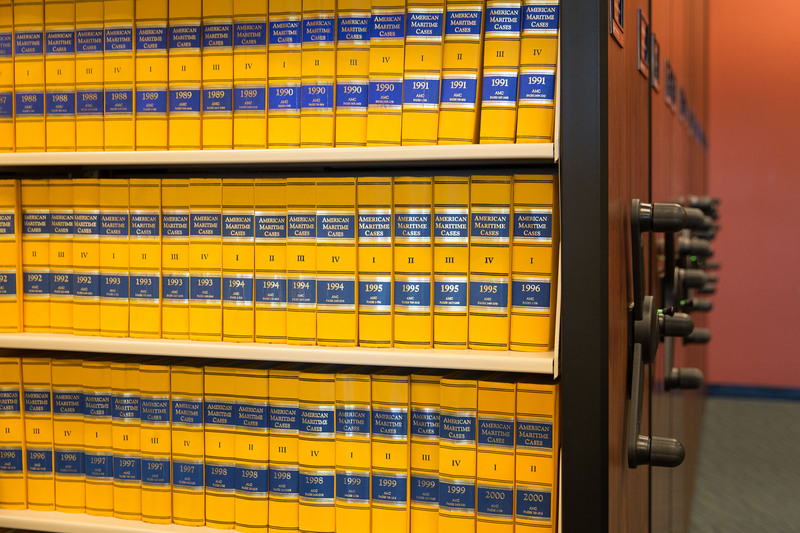 In addition, the Spacesaver high-density storage system was designed to accommodate much taller shelving than the system that’s currently installed. 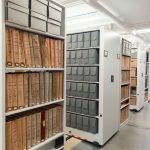 This cost-saving measure gives the museum room to grow in the short term, and taller shelving can be installed later to take full advantage of the vertical space in the warehouse for museum collections storage.